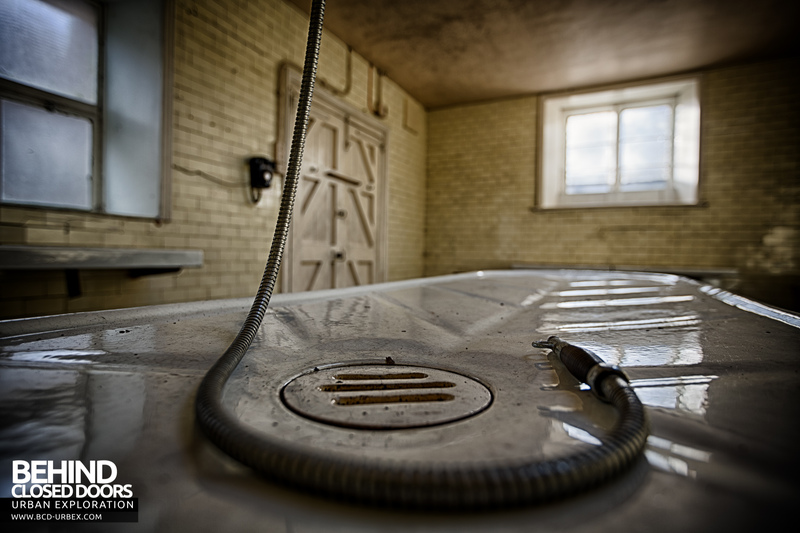 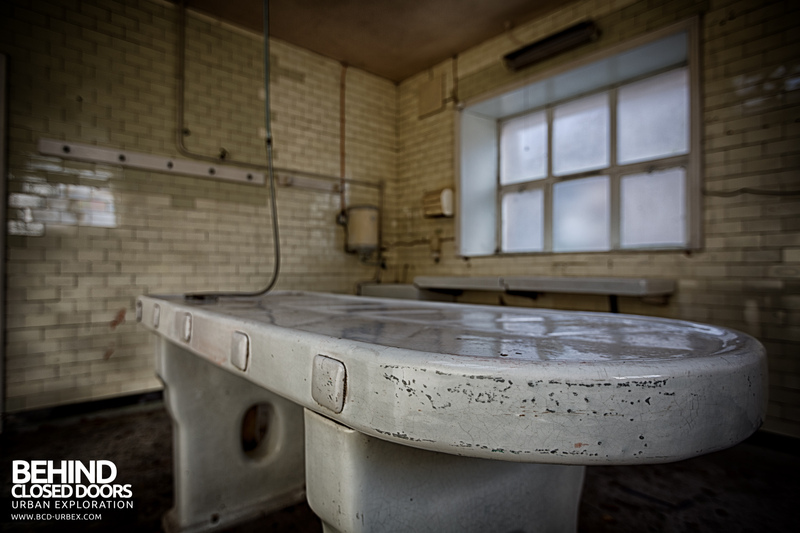 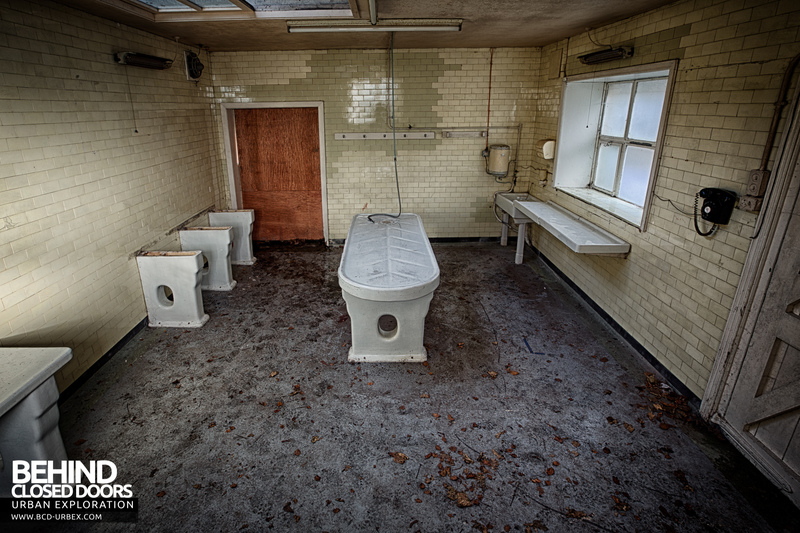 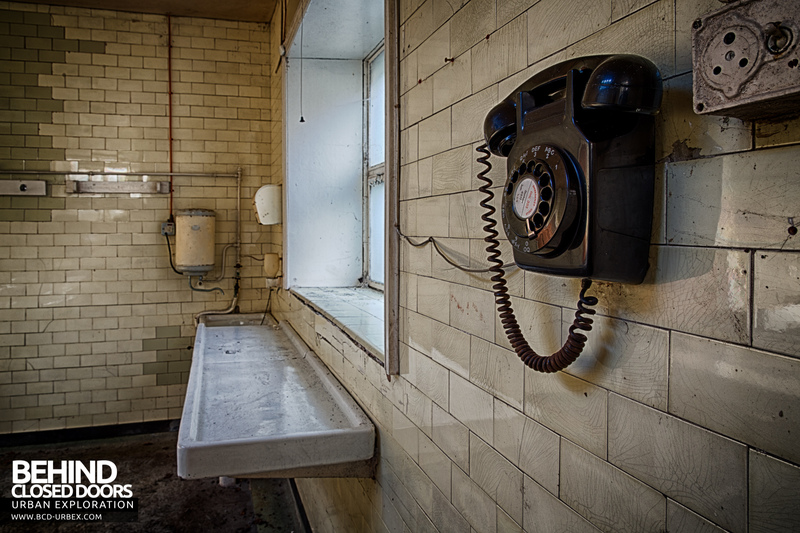 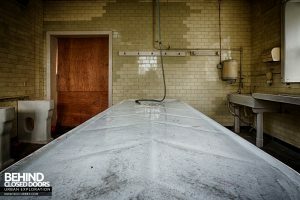 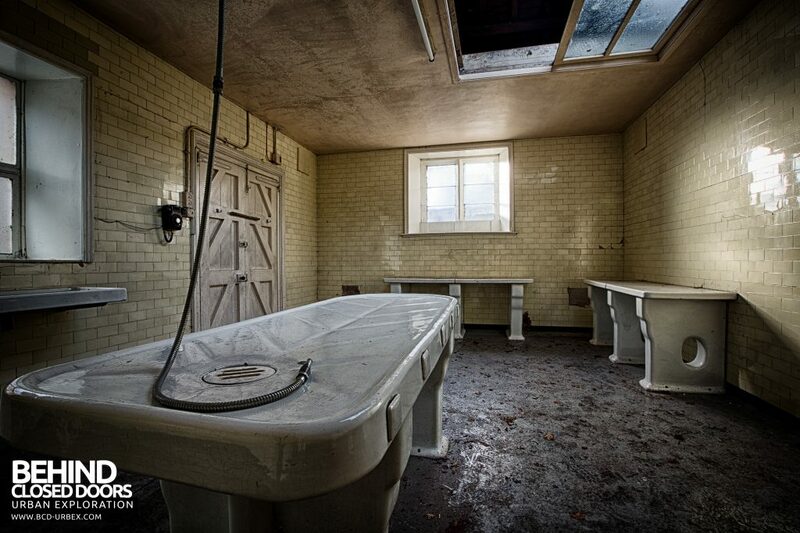 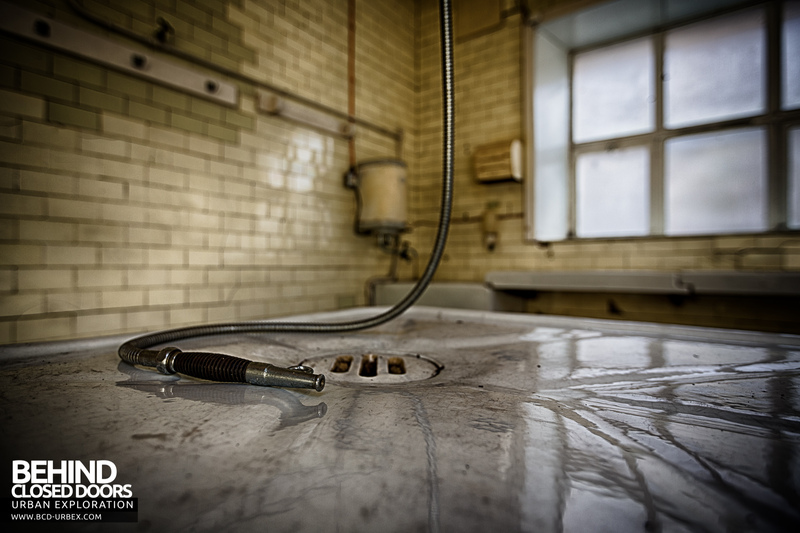 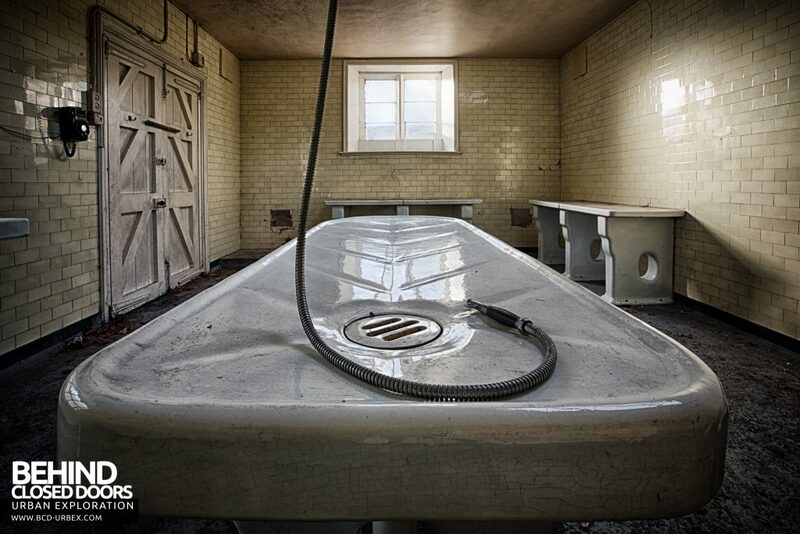 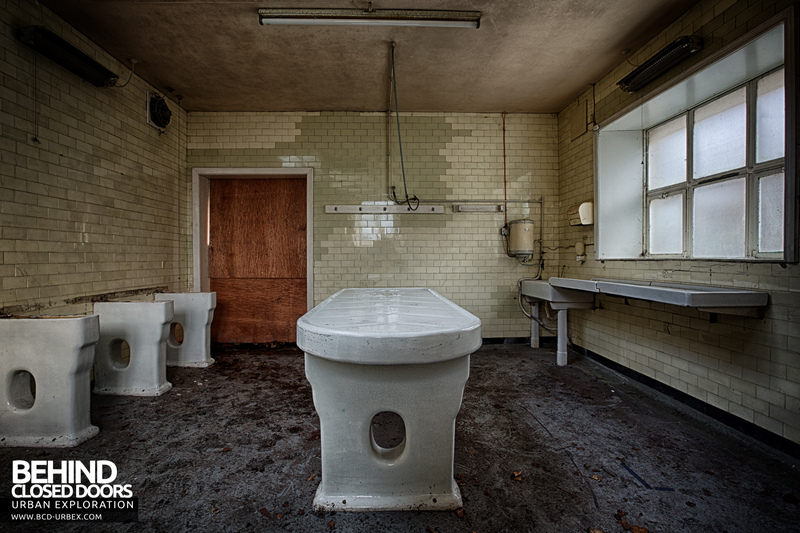 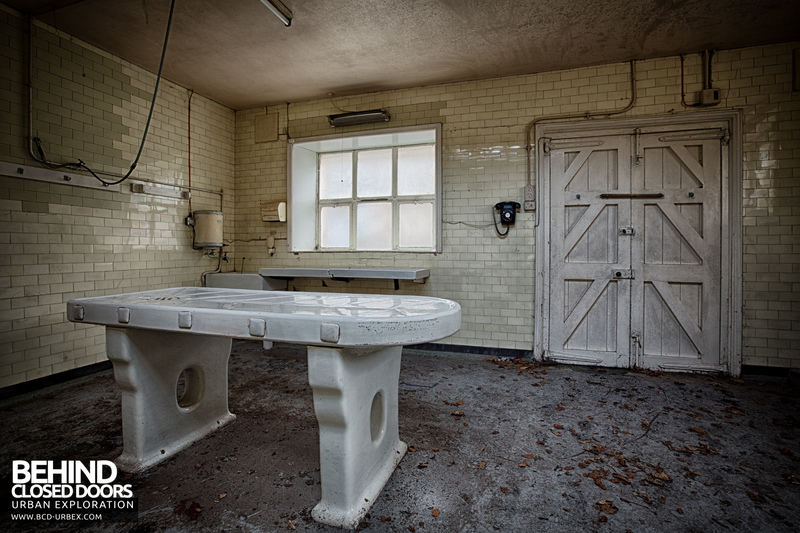 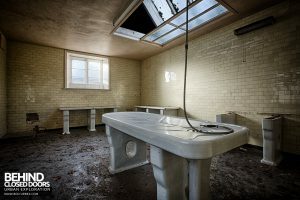 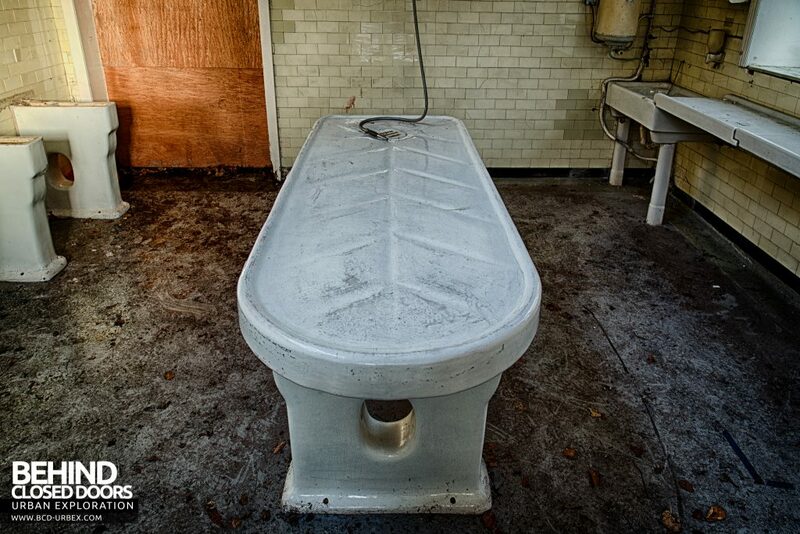 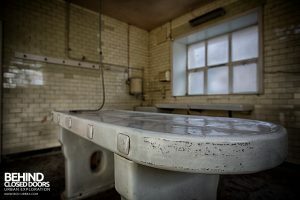 Durham County Hospital’s Morgue is an abandoned mortuary with a porcelain slab still in place. Several other porcelain tables are positioned around the sides of the room, although one is missing its top. 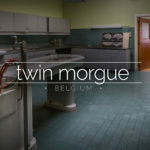 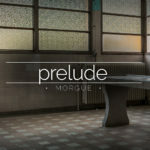 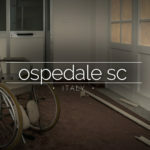 The morgue is a small building, part of a larger hospital which closed in 2010. 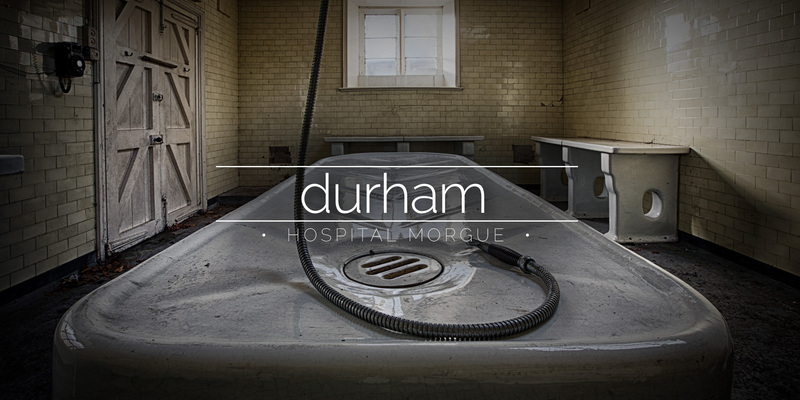 It would appear the morgue building was once bigger, however the body storage room has now been demolished.